Exactly 9 years after becoming Real Madrid’s president, Vicente Boluda revealed that he is the one who signed Cristiano and not Florentino. In order to understand the dry relationship that Cristiano Ronaldo and Florentino Perez had at Real Madrid, one has to go all the way back to the origin of the relationship and realize that Perez wasn’t the man who planned the Portuguese’s arrival from Manchester United. 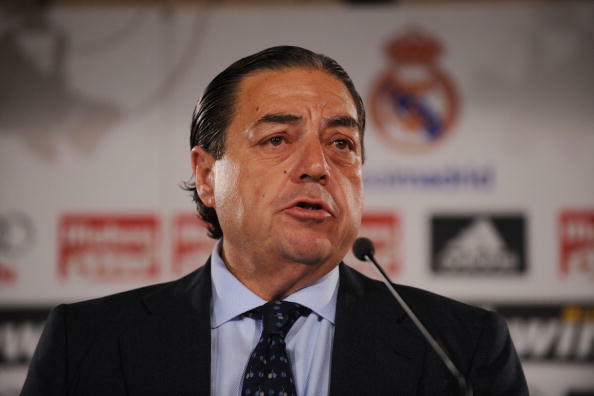 The man responsible for what can arguably be considered the best signing in Los Blancos’ history, should go in part to businessman Vicente Boluda. The other part is former president Ramon Calderon, both men were the involved figures who negotiated Ronaldo’s new contract and the €92 million fee that was eventually paid to Manchester United. When the transfer was completed as soon as Florentino Perez arrived as the new president, he was the one who took all the credit but Boluda wanted to set the record straight. By the time that he stepped down as the club’s chairman, Cristiano Ronaldo’s transfer was all done and paid for. This information is something that not a lot of people knew, we lived under the impression that this was one of Florentino Perez’s biggest moves and we lived a lie for a long time. 🗣 "Con la que hay liada no voy a ser yo el que eche más leña al fuego. No quiero ahondar en la herida, pero los 50 goles de Cristiano se han quedado en nada y eso es una realidad…"
Boluda granted an interview to Diario AS exactly 9 years after becoming Real Madrid’s president, he is one of Spain’s biggest businessmen and owns one of the biggest private boat fleets in the world. “Ronaldo completely changed Real Madrid’s history, just like Di Stefano did back in the ’50s. The club has won the last four European Cups thanks to him… He has been incredibly important for the club,” he concluded. After hearing these explosive statements from Vicente Boluda, we wonder what Florentino Perez thinks about them and how he would react after realizing that the cat’s out of the bag. All the Madridistas lived under the impression that the current Real Madrid president was the man responsible for the biggest transfer in the club’s history, but it was an illusion all along. After getting this information about how it all happened, suddenly the whole relationship between Ronaldo and Florentino takes a whole new meaning that further explains why the two of them never really got along. Regardless of how much the president tried to erase Ronaldo’s history with the club, there will be no way in which he can ever change history and the massive impact this player had for Los Blancos for the last 9 seasons. What do you think about Florentino Perez now that you know what really happened with Cristiano Ronaldo’s transfer to Real Madrid? Please share your opinion in the comment section down below.